The success of an organization depends more and more on how fast it can adjust to new conditions and situations, to new and different demands. New technologies, trends, regulations, changes in style, and fierce competition force companies to make major changes in order to remain competitive. The faster the change, the more important employee participation becomes, as well as getting the best use of people’s talent. In a less stable business climate, when innovation is forced upon even the most conservative organizations, employee participation – bringing fresh ideas and creative improvements in process or work practices – is indispensable. Where routine response does not exist, people cannot be replaced by machines. Equally important is the timing of major organizational changes. Timing reflects on the vision of the leader. Oftentimes, a company makes changes too late - after the company starts losing money and market position, when cash flow and funds for the necessary investments are no longer available. A good leader begins change when it is still sunny, and the first clouds are far away. 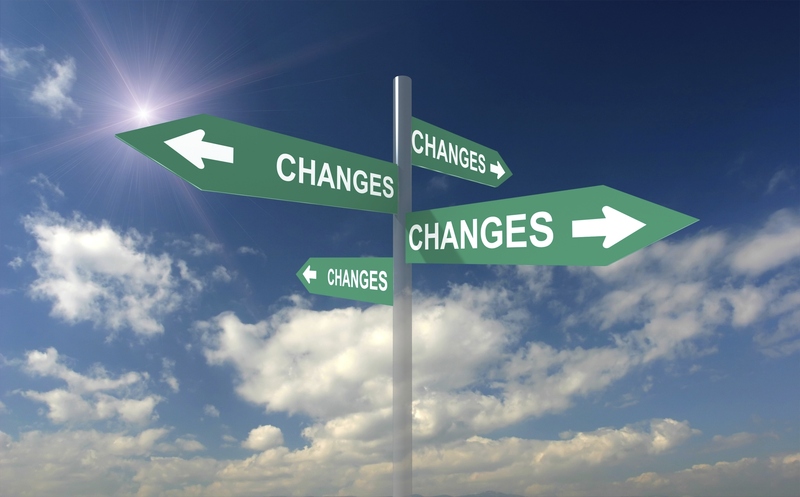 There are seven considerations that can help make major organizational changes a success. · A well prepared disclosure and good communication. · Careful weighing of potential resistance and its consequences. · A detailed timetable for execution. · Discuss potential new career paths within the company. · Discuss the necessity and advantages of a different position. · Give the reasons for the change. · Show appreciation for loyalty. Some employees who lack self-confidence consider any change a threat. They are afraid to cope with new responsibilities, another boss, or different colleagues. Patience is needed to explain and convince. Teaching, training, and full support are good remedies. Good communication is vital. Reasons for the change must be explained beforehand. Clear communication is the best investment, since resistance is often due to misinterpretations, half-truths, and rumors that recede the change. Easy to understand written and verbal communication should reach all layers of the company. Employee involvement prevents mistakes and wrong assessments, as well as expensive consequences. Those affected by the change can usually provide the best insight, but their objectivity must be scrutinized. 1. Learning from the experience of people on the job. Early employee involvement improves the plan. Those who come aboard early support the plan and spread the word, preventing rumors. And the build-up of resistance. Another great facilitator of change is trust. Credibility of management, based on past experience plays a key role. Where trust is lacking problems will multiply. The best remedy is honest information and better communication; these are stepping stones in developing trust. In spite of your best efforts, some resistance may remain. If the problem is wage loss, then negotiation is necessary. In some situations, leaders of the resistance and their motivations have to be identified. If direct communication does not resolve the problem, negotiation and cooperation must be pursued. Once everything is prepared and in place, execution should be fast. An implementation date must be set to introduce the new organization. Even if there is a last minute problem, postponement is not recommended. Coherence of management and trust in leadership eliminate opposition, and ease the way to permanent ongoing renewal.